Dr. Joseph Waeckerle, is a Clinical Professor of Emergency Medicine at the University of Missouri-Kansas City School of Medicine. He is also Editor Emeritus of Annals of Emergency Medicine. He has practiced Emergency Medicine and Sports Medicine for over 30 years and has been board certified in both specialties. He has extensively published in his specialty areas. His publications include the definitive review of disaster planning and preparation in the New England Journal of Medicine and multiple publications in Annals of Emergency Medicine and JAMA. He has recently authored and published a lay person and health care professional version of Concussion Management: The Team Plan funded by a grant from the Federal government administered by the Missouri Department of Health and Senior Services and the NFL. He has been a team physician at the grade school, high school, college, and profession level for over 30 years. Dr. Waeckerle was the first emergency physician to be a team physician for the NFL as the team physician in Emergency Medicine and Sports Medicine for the Kansas City Chiefs Football Club, invited to do so in 1990. He currently serves on the NFL Head, Neck, and Spine Injury Committee and the MackeyWhite Brain Injury Committee of the NFL Players Association. Dr. Waeckerle has served emergency medicine organizations since the mid-seventies in many capacities including founder of the Emergency Medicine Residents Association; Director, Board of Directors, of the American College of Emergency Physicians (ACEP); and President for the Society of Academic Emergency Medicine. 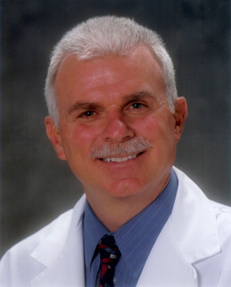 Dr. Mark Steele has served on the faculty in the Department of Emergency Medicine at the UMKC School of Medicine/Truman Medical Center since his graduation from residency in 1983. He was named Vice Chairman for the Department of Emergency Medicine in 1987, Program Director in 1990, and in 1997 he was selected as Chairman, Department of Emergency Medicine. In 2000, he was selected to be the first Chief Medical Officer for Truman Medical Center and became Associate Dean for Truman Medical Center Program at the UMKC School of Medicine and was promoted to full professor at the UMKC School of Medicine. He currently serves as the Chief Operating Officer for Truman Medical Center. Dr. Steele has over 60 publications. His interests have been in the areas of infectious disease, wound care, circadian rhythms and shift work, and emergency medicine practice and work force issues. 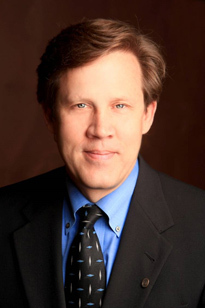 In 2002, Dr. Steele was named as one of Ingram’s Top Doctors of Kansas City. Other honors and awards include becoming a Fellow of the American College of Emergency Physicians in 1988, receiving the UMKC Alumni Achievement Award in 1990, induction as a faculty member into Alpha Omega Alpha society at the UMKC School of Medicine in 1992, receiving the UMKC Excellence in Medical Education Award in 1992 and in 2000, being the recipient of the UMKC School of Medicine E. Grey Dimond Take Wing Award. Dr. Steele served as secretary-treasurer and a member of the Board of Directors, for the American Board of Emergency Medicine (ABEM), as well as chair of the Test Administration Committee, chief examiner for the oral examination, and as an item writer. He also served as the president of ABEM for 2010-2011. Dr. Alexander Garza is currently the Associate Dean for Public Health Practice and and Associate Professor and Chair of the Department of Environmental and Occupational Health (EOH) at St. Louis University. 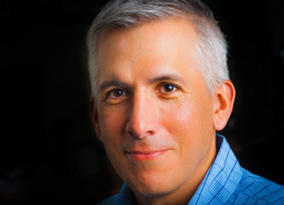 In addition, he is the Medical Director and Homeland Security advisor for FirstWatch Inc, a data and quality improvement software company in Encinitas, CA focusing on emergency responders. Dr. Garza was appointed by President Obama and confirmed by the US Senate as the Assistant Secretary and Chief Medical Officer at the Department of Homeland Security. He oversaw all aspects of health and security at DHS, was a princpal advisor to the Secretary of Homeland Security and briefed the White House on health and security issues. He served in this position from 2009-2013. Dr. Garza’s career has included working at all levels of emergency response including as an EMT, paramedic, flight medic, emergency physician, army officer and an EMS administrator. He has written numerous papers on emergency care, and lectures nationally and internationally on issues involving health and security. Dr. Garza is an academic advisor to several academic programs, and is a consultant to fortune 500 companies on health and security issues. He is a Colonel of the US Army Reserves where has received numerous awards including the Combat Action Badge and the Bronze Star. He was awarded the UMKC Alumnus of the Year for 2016.